What will become of Touro’s $7.4 million Torah Rimonim? A pair of historic, handcrafted silver Torah bells has been at the center of an acrimonious, seven-year-long legal dispute between two venerable Jewish religious institutions over ownership of the Touro Synagogue in Newport, R.I., the country’s oldest synagogue. On March 18, that dispute ended when the US Supreme Court declined to hear an appeal by Newport’s Congregation Jeshuat Israel to review a previous court decision that granted ownership of the Touro and its contents to New York City’s Congregation Shearith Israel. Founded in 1654, Shearith Israel is the country’s oldest Jewish congregation. Leaders of the two congregations say they are ready to find a path forward to repair the rocky relations and resolve a host of thorny issues that would allow the Newport congregation to continue to worship as a tenant in the Touro Synagogue. Dedicated in 1763, the synagogue was designated a national historic site in 1946 and attracts tens of thousands of visitors each year. While disappointed with the outcome, Jeshuat Israel’s leaders are eager to look to the congregation’s future. “We have communicated with Shearith Israel and we are eager to put the litigation behind us and move forward, to work for our shared goal to ensure that Touro continues to have a local Orthodox congregation, now and in the future,” said Louise Ellen Teitz, co-president of Jeshuat Israel. In a phone conversation, Teitz, a law professor at Roger Williams University who grew up attending Jeshuat Israel, said the religious community has worshipped at Touro for over 120 years. A representative of the Manhattan synogogue echoed the open-minded sentiment.  “I’m pleased to say that the parties are talking,” said Louis Solomon, an attorney and partner at Reed Smith in New York, and the board chairman of Shearith Israel. But the question remains: What will become of the silver Torah Rimonim, now clearly the legal property of Shearith Israel, which are valued at $7.4 million? 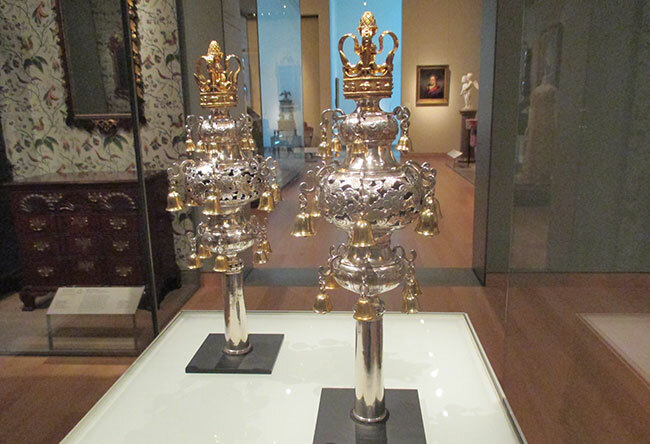 Since 2010, the exquisite silver Rimonim adorned by small gold bells, designed by Myer Myers, a Jewish silversmith in Colonial New York, have been on loan to the Museum of Fine Arts in Boston. The intricately detailed bells are crafted to sit on the top of the Torah scroll rollers. Myers was the first American-born Jewish silversmith, and was formally trained in the American apprentice system. A slightly older contemporary of Paul Revere, Myers also was a leader of Shearith Israel. The MFA had offered to purchase the Rimonim from Jeshuat Israel, but withdrew that offer when Shearith Israel initiated a lawsuit in 2012 to prevent the sale. The Newport congregation had hoped to use the money to secure its financial future and maintain a rabbi. In an email, Solomon revealed that he’s asked two congregants at the New York shul to consider what should be done with the Rimonim. One plan for as early as this summer is to mount an exhibit of all of the Myer Myers Rimonim that are associated with Shearith Israel and the Touro Synagogue. In addition to the pair at the MFA, there’s another pair in the Touro Synagogue and two pairs at Shearith Israel. “We are planning on reuniting the Myer Myers Rimonim as part of Shearith Israel’s celebration of 365 years of Jews in America” that is taking place now, Solomon wrote in an email. Solomon thinks joint programming that emphasizes the shared past of both congregations and the Touro Synagogue is the best way forward. 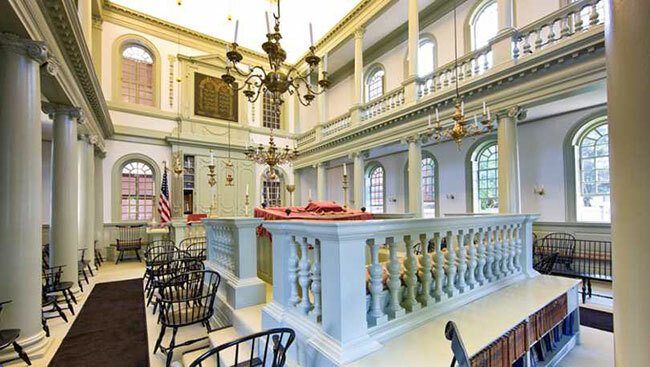 The synagogue is considered one of the most architecturally distinguished buildings of 18th century America. After Newport’s Jews fled the town during the Revolutionary War, Shearith Israel became trustee of the Touro Synagogue and held its Torah scrolls and Rimonim in New York for safekeeping. Decades later, as Jews returned to Newport, the religious items were returned. The Newport Jewish congregation, rechartered in 1894 as Jeshuat Israel, and resumed worship in the Touro Synagogue, but Shearith Israel retained the rights to the building and its contents, including the Rimonim. For now, the Myers Rimonim continue to be on view at the Museum of Fine Arts. They are “masterworks of American silver and Judaica,” according to Marietta Cambareri, the MFA’s Jetskalina H. Philips Curator of Judaica. “Their presence has … allowed the Museum to tell an inclusive story about the history of Judaism in Colonial America,” Cambareri wrote in a comment provided by the MFA. Sarna, professor of American Jewish History at Brandeis University, who has followed this case closely. Insuring the valuable Rimonim is costly. “It’s a huge responsibility,” Sarna told the Journal. “I like the fact that at the Museum of Fine Arts, non-Jews see them,” Sarna said, but the Rimonim’s future is part of the discussions going forward, he acknowledged. With the legal dispute behind them, Sarna is hopeful that reasonable heads will prevail at the two synagogues. “My own hope is that they can now sit down and figure out what is really important,” Sarna said, regarding how to keep the synagogue in Newport financially viable and maintained as a religious institution.